The New York Mets are discussing a deal with the Seattle Mariners about a possible trade for ​Robinson Cano and Edwin Diaz. The two teams are closing in on an agreement, and we're just now beginning to understand the Mariners motivation in this trade. According to Ken Rosenthal of The Athletic, among the Mets prospects being discussed are 2018 first-round pick Jarred Kelenic and 2016 first-round pick Justin Dunn. ​​There are very few prospects the Mets should list as being off-limits in trade talks, especially if they're serious about bringing a winner back to Queens. These two, along with Peter Alonso and David Peterson, should fall into that category. Kelenic is viewed by many scouts to be a future star in the MLB. As for Dunn, the Mets don't have any other good pitchers in the minors that are close to being MLB-ready other than him. Losing that depth would be costly, but necessary it seems. 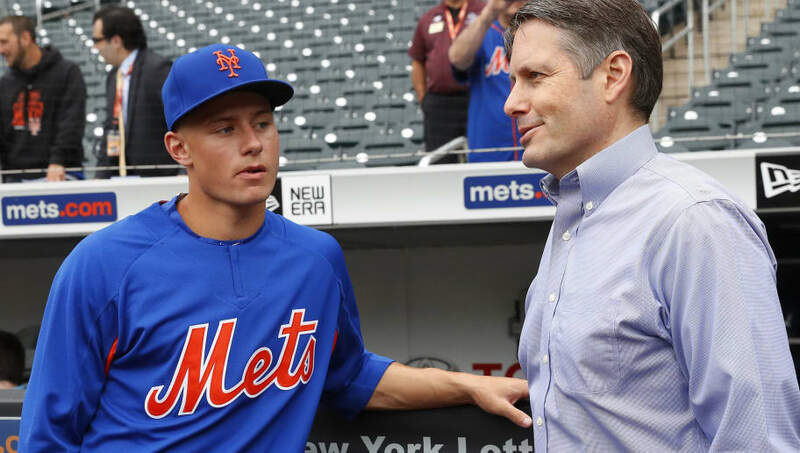 ​​While a deal between the Mets and Mariners seems likely, the Mets shouldn't include Kelenic and Dunn if it can be avoided at this juncture. The Mariners are desperate to get rid of Cano's contract, and the Mets shouldn't need to give up that much in a deal involving him, even if an elite arm like Diaz is involved.